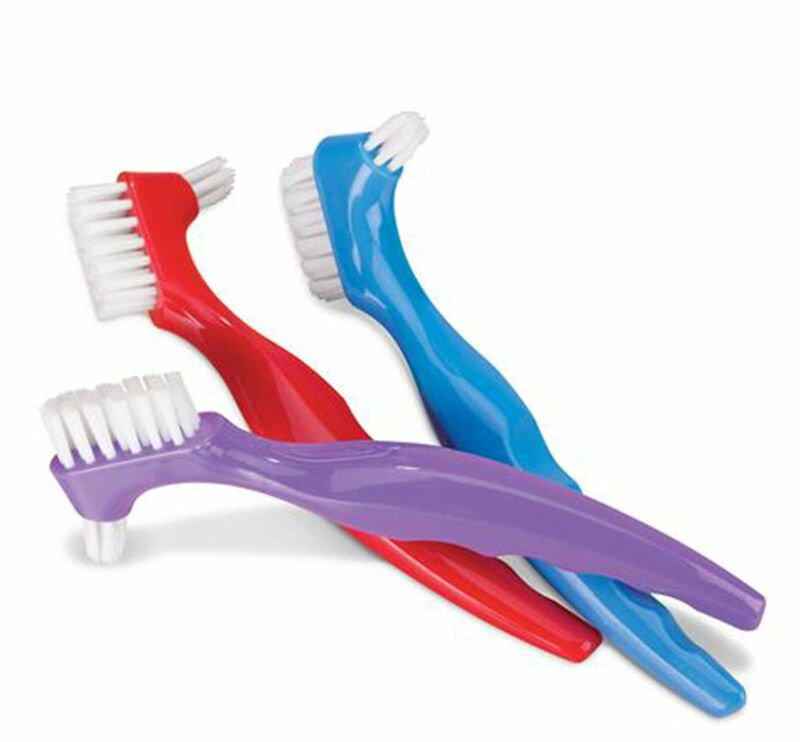 Deluxe Contoured Denture Brushes offer denture patients a dual, form-fitting design. Firm nylon bristles reach all surfaces. Seamless grip lends an easy hold, even by arthritic hands. Available individually or as a pack of 12.